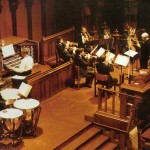 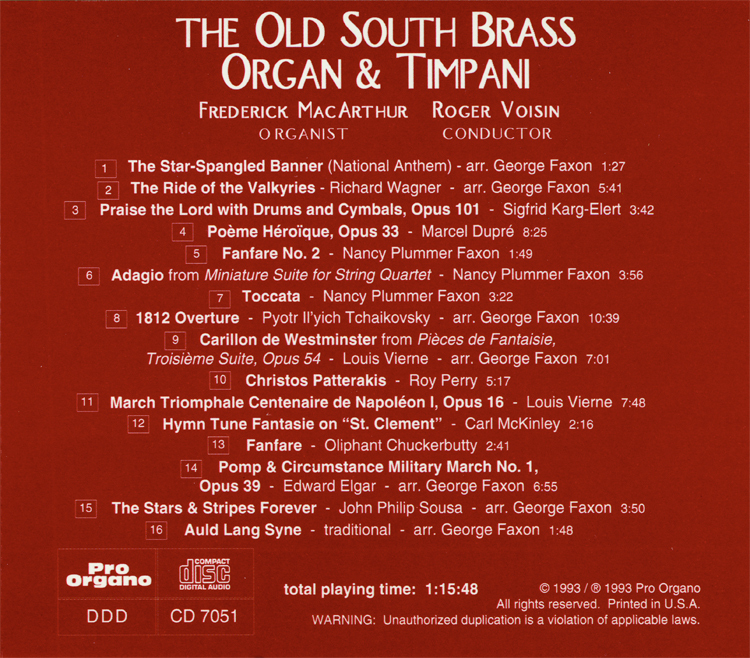 The Old South Brass, Organ and Timpani, with Roger Voisin, conductor and Frederick MacArthur, organ, plays Marcel Dupré’s Poème Heroïque in the sanctuary of Old South Church in Boston. 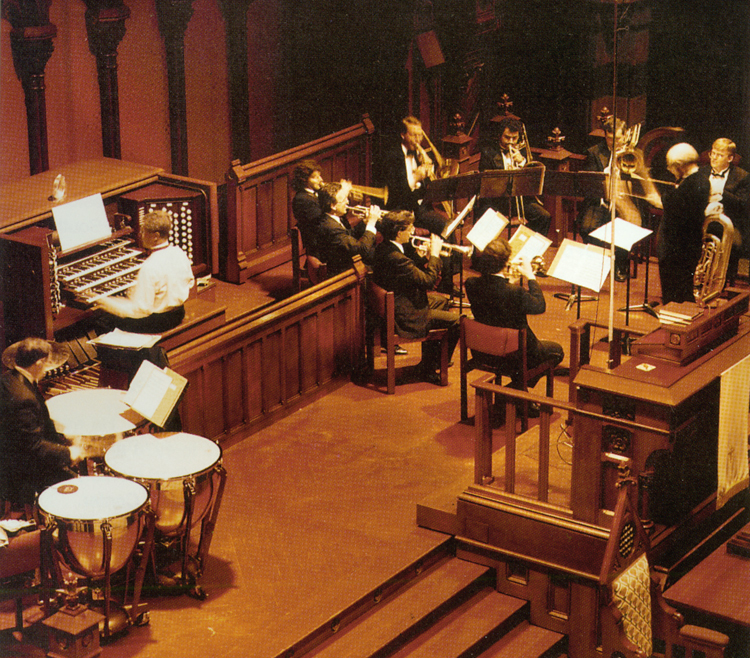 Organ: Ernest M. Skinner, Opus 308, 1921, rebuilt and augmented by Nelson Barden Associates. 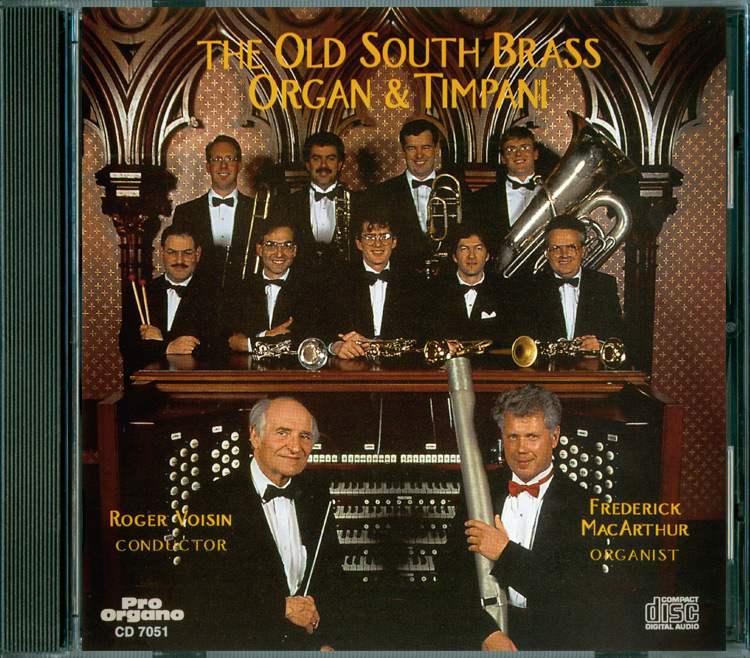 Copyright © 1993 Pro Organo, 1996 Zarex Corporation. 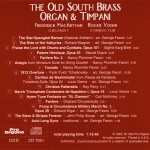 Presently Sold Out in CD.